Los Angeles, CA – Few artists can boast the level of success that KONGOS have found in the last few years. From their certified double multi-platinum single, “Come With Me Now,” to their multiple alternative hits and nearly 1.5 million monthly Spotify streams, KONGOS has had an incredible career thus far. 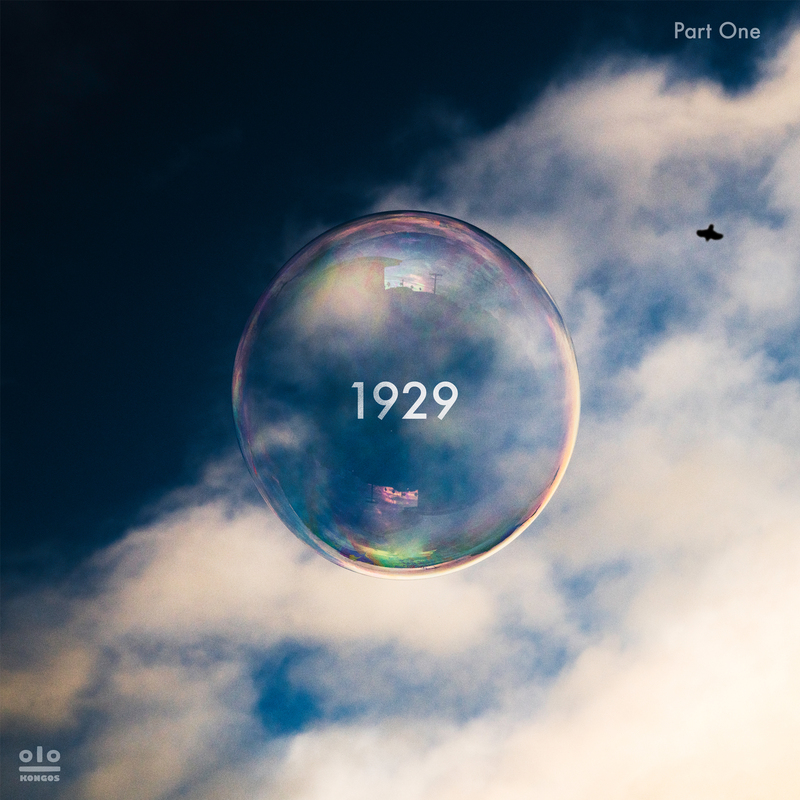 Their latest album, 1929: Part 1 is an impressive full-length album that is packed with the same kind of catchy lyrics, complex melodies and top-notch musicianship that listeners would expect from one of the fastest growing alternative rock bands in the world. 1929: Part 1 is available now to stream and download on digital music platforms worldwide. Although some fans describe KONGOS’ sound as a combination of Tame Impala and Kings of Leon, most people will agree that their musical counterparts are hard to pinpoint. The main reason for this is their unique approach to songwriting and instrumentation, both of which contribute to the creation of a sound that’s entirely their own. Their newest album showcases this phenomenon in an incredibly tangible way. Filled with lyrical prowess, melodic complexity and a visceral musicality, 1929: Part 1 is the result of a major creative undertaking. As the title somewhat implies, it will be the first of three albums to be released by the band in 2019. From this venture, songs like “Pay For The Weekend” emerge, a track that encompasses the album’s themes fully. “It’s about the up and the down and how they can’t exist without each other,” explains Jesse Kongos. “There’s nothing like coming down from a big weekend to remind you that maybe today or maybe some time down the line, the effect of every cause will eventually play out and start the cycle all over again.” Other songs like “Something New,” “I Am Not Me” and “Keep Your Head” showcase the band’s energy and are sure to be fan favorites. 1929: Part 1 is the follow up to their previous albums, Egomaniac (2016), Lunatic (2012), and Kongos (2007). Made up of four brothers, KONGOS is the result of a lifetime of musical passion. From learning several instruments at a young age, to accepting multi-platinum certification for an original song, it’s been an exciting musical journey for this foursome. Their music has been featured in a number of major commercial campaigns for HBO, CNN, ESPN, NFL, Universal Studios, Samsung Galaxy, American Idol, MTV Movie Awards, PlayStation 4 and many more. They’ve appeared on Late Night With Seth Meyers, Jimmy Kimmel LIVE!, The Today Show and have received acclaim from Rolling Stone, USA Today, and many others. All of the tracks from the album were featured in Bus Call - Life On Tour, an 8 part-documentary series the band released in 2018. KONGOS are currently touring the United States and Canada in support of the record. Tour dates and tickets are available at KONGOS.com/shows. 1929: Part 1 is available on digital music platforms now. To keep up with the band, visit KONGOS.com.